Arjun Kapoor Is Overwhelmed By Fans Reaction To Tere Liye! 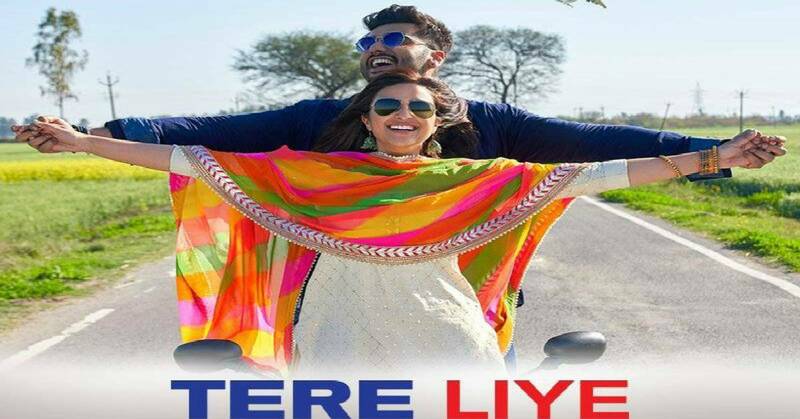 The recently released song 'Tere Liye' from Vipul Amrutlal Shah's Namaste England has been receiving much appreciation from all quarters. Crooned by Atif Aslam, 'Tere Liye' features the love story of Arjun Kapoor and Parineeti Chopra. Overwhelmed by the abundant love showered on the song, Arjun Kapoor took to social media to thank his fans with an Instagram Live. "Tere Liye" has been garnering praises from all quarters and has crossed more than 14m views. Arjun Kapoor & Parineeti Chopra's chemistry have been lauded for their appealing chemistry in the song. The song is being appreciated by audiences across the globe and even B-Town celebrities like Kriti Sanon and Anushka Sharma took to social media to share their love for the song.